Bjulin Waves included InspireMe Vol. 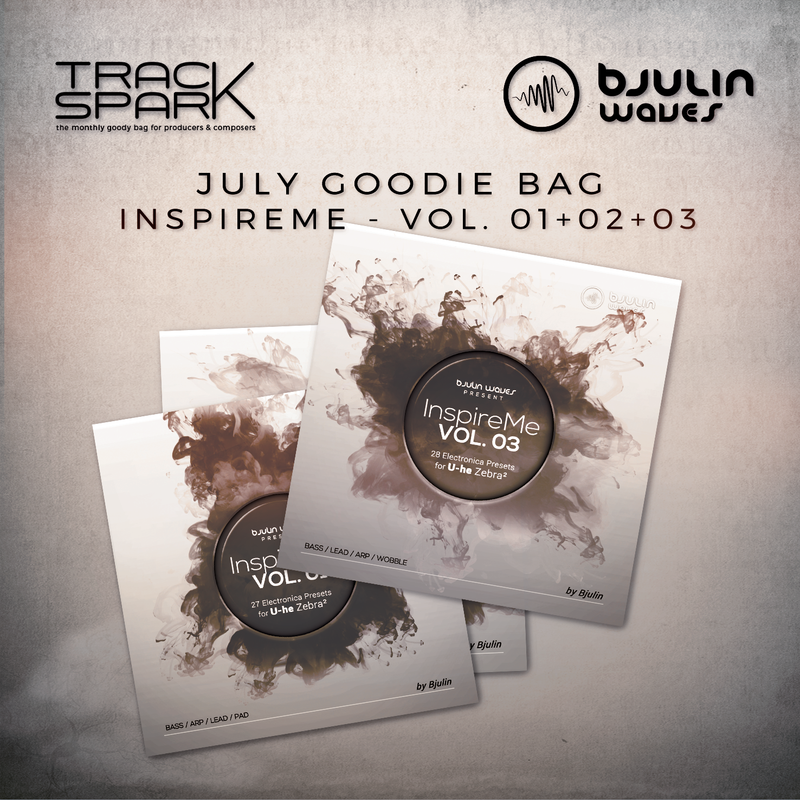 01 + 02 + 03 sample packs in our July goody bag. Bjulin Waves officially launched in early 2012. It started as a personal project from Bjulin, always trying to create interesting sounds - not just the simple bread and butter stuff, but the uncommon. Today, Bjulin Waves is trying to achieve soundsets that make sound lovers happy. Polished, high quality pre-sets are the base of Bjulin Waves soundsets.